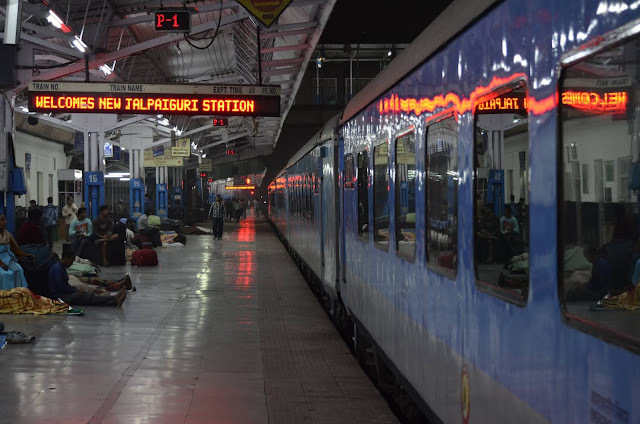 The Eastern Railway will run one pair of Howrah-New Jalpaiguri Weekly Superfast Puja Special, leaving Howrah and New Jalpaiguri on Friday (October 7, 2016) to clear the extra rush of the passengers during the festive season. An ER release said the up train (03059) will leave Howrah at 0010 hours and reach New Jalpaiguri at 1010 hrs the next day. The down train (03060) will leave New Jalpaiguri at 1235 hrs and reach Howrah at 2250 hrs the next day. The train will have ten AC chair cars and 5 AC 3-tier coaches. Besides, to clear the rush of passengers during the Durga Puja, one additional AC 2-tier coach will be attached each to 12301/12302 HowrahNew Delhi Kolkata Rajdhani Express (leaving Howrah from October 5 to 31, 2016), the 12305/12306 HowrahNew Delhi Kolkata Rajdhani Express via Patna (leaving Howrah from October 9 to 30, 2016) and 12313/12314 SealdahNew Delhi Rajdhani Express (leaving Sealdah from October 5 to 31, 2016), the release added.